Fearful that the federal government shutdown will have lasting effects on Mainers, Gov. 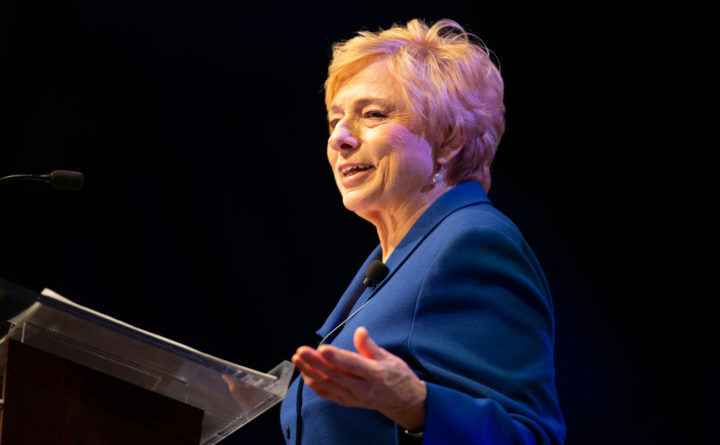 Janet Mills on Monday announced that Supplemental Nutrition Assistance Program recipients in Maine will receive their February benefits early. “The ongoing federal shutdown puts critical services, including nutrition assistance for Maine children and families, at risk,” Mills said Monday, on day 23 of what has become the longest government shutdown in U.S. history. The monthly stipend, administered by the U.S. Department of Agriculture and provided to roughly 180,000 Mainers, will be affected should the shutdown continue into February, Mills said. As a result, benefits, often referred to as food stamps, that would otherwise be allocated in February are now scheduled to arrive Thursday. To date, there has been “no communication from the USDA’s Food and Nutrition Service” that people who apply for new benefits will not receive them, Mills’ spokesman Scott Ogden said Monday. The federal government provides 50 percent of the funding for the state to administer SNAP benefits, he said. Mills and acting Department of Health and Human Services Commissioner Jeanne Lambrew uged recipients to budget accordingly. Lambrew and Mills also called for an end to the shutdown “before it permanently harms our state.” In the meantime, new eligible enrollees can still qualify to receive food stamps. Federal government employees who have been furloughed in the shutdown are also eligible for SNAP benefits, Ogden said. One in seven Mainers received SNAP benefits last year, according to the Center on Budget and Policy Priorities. More than 61 percent of Maine’s recipients are families with children, and nearly 50 percent are families whose members are elderly or disabled. President Donald Trump’s administration last week pledged that food stamp funding will continue for nearly 38 million Americans through February. If the government shutdown lasts through March, however, the funding is not guaranteed. Trump has threatened to keep the government partially shut down for months unless he receives $5.7 billion to build a southern border wall.